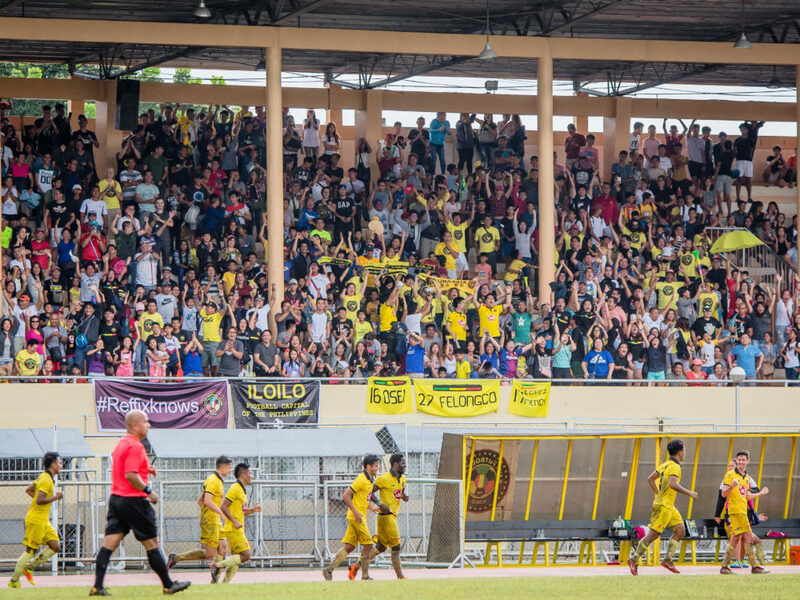 BINAN—Many football fans were puzzled when the Asian Football Confederation announced that Kaya Iloilo's home games in the AFC Cup will be played at the Pana-ad Stadium in Bacolod City instead of the Iloilo Sports Complex in Iloilo City. The club, in a statement on Friday, explained that ISC fell "short of the stadium standards required to host an Asian Football Confederation (AFC) contest." In an interview with Dugout Philippines on Saturday night, Head Coach Noel Marcaida bared AFC's concerns with ISC. "Kailangang magkaroon ng individual seats yung stadium," Marcaida said. He added that even if the Iloilo City government works double time to put up individual seats, it is unlikely that ISC will finally meet the AFC standards by March 13. "Yun yung requirement na hindi mami-meet before yung first game," Marcaida continued. The reigning Copa Paulino Alcantara champion will host Home United on the said day. However, he admitted that Iloilo was not expecting a ground-sharing with Ceres Negros, the main tenant of Pana-ad, for this year's AFC Cup. "We assumed na kung hindi man namin malaro sa Iloilo, we're expecting sa RMS (Rizal Memorial Stadium in Manila). It so happened na Philippines ang host ng 2019 SEA Games, and RMS is under renovation. Hindi namin magamit," Marcaida bared. But he added that Iloilo remains optimistic that the AFC Cup will happen in the Philippines' top football hub. "We're hoping na madala yung international competition sa Iloilo," Marcaida further said. In fact, he revealed that it is possible that it may take place as soon as either on April 17, when Iloilo takes on PSM Makassar, or on April 30, when the club battles Lao Toyota. "We can if aabot," Marcaida simply said.